Why do we find one place appealing and are uneasy in another? Why are we attracted to one color over another? Color—whether architectural or in products—accounts for 60 percent of our response to an object or a place. The "buzz" about color is usually called "color psychology." But the effects of color are subtle and significant; physical and psychological. Color use is not something that results in a definitive equation between "color and our moods," as is a currently popular expression. Wherever we go we respond to color, but the importance of color is often underestimated. Color use is important to us personally in our homes and in the places where we work. If you're not sure where to begin with color, experiment in a powder room or bathroom, a small hall or area between rooms, or an accent wall. If you're doing your own painting, pick an area that's quick to do so you can see your results sooner, and be happy with it or change it. Look at the process as an adventure. To get started, select a favorite color drawn from artwork, a rug, dishes and an accessory or furniture piece as a main color or accent. When selecting a color, consider the mood of a room. In a bedroom do you want the feeling to be restful and soothing or dramatic and intimate? Soft, cool colors and neutrals usually create a quieter feeling while stronger colors are for drama. Do you want kid's rooms to create an active and exciting energy or an orderly and restful feeling? Be careful not to overstimulate your children with intensely bright hues. You may not know it, but some brighter colors can lead to unrest and irritability. Fluorescent lighting casts a sharp blue tone. It helps to understand the terminology used to describe color. If you want a more active space, consider introducing stronger, more intense color. Even if you want a light-colored room, choose colors that are slightly more saturated than off-white or light pastel. Very light color can feel bright and stark when it appears on all surfaces in a room. However, two or more medium-light, closely related pastel colors can create a luminous effect when used in the same room. 5. Test Your Color ChoiceBoost your confidence by testing colors on poster board or large areas of a wall. Don't be afraid to go beyond your comfort zone: Consider strong, vivid colors or soft, deep neutrals like chocolate brown or olive green as main or accent colors. Or add drama with a stronger color on the ceiling. Tinted ceilings can dramatically change the whole look of a room. Transform flat, dull walls into interesting and personal spaces with subtle or dramatic visual texture and broken color. Burnished mineral/metal finishes and layered colored glazes add depth. Some examples of softly reflective metals are mica, copper, pewter, bronze and, of course, antiqued silver and gold. Consider walls as planes of color, and see how they interact when viewing one next to the other in adjacent rooms. Approach it like a composition: You're in one room, but you're going to see a piece of another room through it. So as you're choosing colors, consider how they will flow from room to room to create your picture. A small color wheel is a great reference tool for modifying and intensifying two or more colors. For example, red and green, which are complementary (opposite) colors, are most intense when used together. You may be surprised at how many combinations function beautifully together, and you may even become attracted to entirely new color palettes. The color wheel also illustrates the visual temperature of a color. Draw a line from the yellow-green mark on the color wheel all the way down to the red-violet; you'll see that all the colors on the left are warm and the colors on the right are cool. Think one color is boring? Create bold or subtle variations within one color group with contrasting paint finishes. For example, use closely related colors, or try a single color in different finishes, for walls and trim in one space. For an accent color, select a warmer (more toward reds) or cooler (more toward blues) color to complement your main color group. For a quieter ambience, make sure your colors are not extremely bright. White or an off-white tint can be a striking accent when used as trim with a monochromatic color group. A single color used on walls and trim takes on new significance when applied in different finishes. For example, wall and trim colors can remain the same hue, but use an eggshell (matte and less reflective) finish on walls and a satin or semigloss on trim. The color will appear slightly different on each surface. It's a good way to create a cohesive look in rooms with many windows and doors, and relatively little wall area. Lexington's Country Fair is the perfect place to celebrate! The Fair will feature activities, performances, contests and handicrafts for all to enjoy. There's still time to sign up for the Blue Ribbon Contests which showcase the gardening and cooking talents of your Lexington neighbors, including special categories for children. Judges will taste delectable entries such as family favorite corn dishes and tastiest tomato, and size up the wildest sunflower or oddest homegrown vegetable. Please click here for the Blue Ribbon Contest Entry Form. Children are invited to participate in a variety of field games ranging from an obstacle course to old-school favorites like sack and three legged races. Kids looking for a little friendly competition can enter the hula-hoop contest or participate in timed races. Our “Race through Time”, for kids and adults, takes participants on a challenging journey through Lexington’s history. Crafters and local history buffs will find plenty to enjoy in and around the Tercentennial Tent. Our talented Lexington neighbors have been busy creating handcrafted specialty items for the 300th Celebration. Bring home one of a kind souvenirs! Lexingtonians can also share their favorite local memories at the “Thanks for the Memories Table.” Bring your favorite photos representing your Lexington experience to be added to the 300th Image Collection and the Mass. Memories Road Show. The Mass. Memories Road show, a public history project based at UMass Boston, has already digitized more than 4,000 photos creating an archive for future generations. After you visit our Memories Table, don’t forget to stop at the Scavenger Hunt table with your Passport Booklet - this is where the Scavenger Hunt officially ends! All these activities, games, and contests will surely whet your appetite, so the Country Fair is hosting a variety of local food vendors for your eating pleasure. From traditional fair food like burgers and dogs to spicy salsa and chips, there is something for everyone. For your convenience satellite parking with shuttle service will be available. Satellite parking will be available at Harrington Elementary School, Elks Club at 959 Waltham Street, Cary Hall and C&W Bus company Parking lot off of Bedford Street. The Shuttle buses will pick up and drop off only Country Fair goers at Town Pool Parking, Greeley Village, Countryside Village, and Vynebrook Village. So Save-the-date, September 22nd, and we’ll Meet You at the Fair! Click here for a full calendar of celebration events. 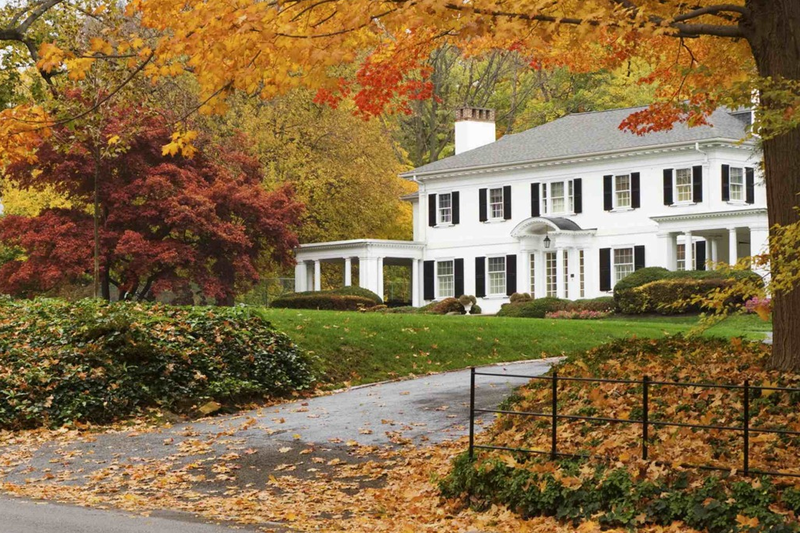 Sell Your Lexington Home This Fall with These 10 Tips! Now that Labor Day is behind us, it seems we’re all gearing up for fall here in Lexington MA. The coming season brings many visitors to the area as Lexington’s historic charm and stunning fall foliage offer a great way to celebrate the changing season. It’s also a time where the Lexington Real Estate market begins to pick up as those interested in buying a Lexington home begin searching for a place to settle into before the holiday season. Because there’s an increase in activity; it’s also an ideal time to sell your Lexington home! Whether you’re hoping to move into your dream home, or extenuating circumstances are causing you to relocate; here are ten key tips for selling your home this fall! 1. Update your listing photos- If your Lexington home was listed last winter or spring, talk with your Lexington Real Estate agent about updating your home’s marketing with brand new fall shots. Pictures from the previous season make your listing seem dated. 2. 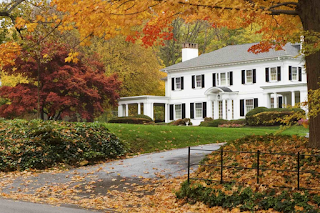 Focus on curb appeal- Selling your Lexington home during the fall certainly comes with one advantage: the season's beautiful foliage which can automatically make your home more attractive for showings. However, you still need to do your part to keep your home looking its best. Start by sprucing up your lawn, keep falling leaves at bay with frequent raking and patch up any brown spots in the grass. 3. Appeal to the senses- As the weather cools down in Lexington, make your home a warm, welcoming space where buyers will want to stick around. If you encourage them to stay awhile during showings, you give them more time to admire your home's best features. 4. Flaunt your fireplace- A warm, inviting fireplace is a great selling point as the weather gets cooler. Highlight this fall-friendly feature by arranging your furniture to make your fireplace a focal point. Place a mirror, artwork, vases or other tasteful decor on top of the mantel to make it even more prominent. 5. Think like a buyer- Fall house hunters are looking for great deals on Lexington homes, so be prepared for lowball offers and possible non-serious buyers. Manage your expectations and negotiate accordingly, depending on your motivation. 6. Hire a reliable real estate professional- As if selling your home isn't stressful enough, you're probably thinking ahead for the holidays or helping the kids ease into a new school year. During this hectic season, you definitely want a great Lexington Real Estate agent to take some of the pressure of selling your home off your shoulders. If you are still searching for an agent; I would love to help you sell your Lexington home! 7. Price it right- If you want to grab the attention of Lexington buyers in this competitive market, you need to price your home correctly from the start - possibly slightly lower than comparable homes in your neighborhood. Setting your listing price just right could lead to a bidding war, resulting in a higher sales price for you. Work with your Lexington Real Estate agent to price your home correctly. 8. Watch your timing- Put your Lexington home on the market well in advance of looking for a new home. And don't place an offer on your next home until you have solid offers on the one you have to sell now. The last thing you want to do is juggle two mortgage payments. 9. Beware of TMI (too much information)- Buyers think most sellers these days are in dire straits, so don't do anything to add to that perceived advantage and lower your potential selling price. For instance, if you are moving from Lexington due to a job transfer, it's best not to offer up that information or at the very least, downplay the urgency. While you are obligated to disclose everything about the property's condition, you aren't obligated to disclose your personal situation. 10. Be flexible- We are currently in a buyers market in Lexington so be willing to work with buyers to help your chances of making a quick sale. Offer to pay for closing costs or repairs, and be adaptable when it comes to showing your home and holding open houses. If you really need to sell your Lexington home, you need to accommodate buyers' busy schedules as well. This might mean opening your home on weeknights and weekends. Be flexible! As an experienced Lexington Real Estate agent; I’m always available to answer any questions you have about the Lexington Real Estate market. I’d love to talk with you about my selling strategy and how we can work together to get your home sold! Lexington Cub Scout Pack 197 registration and orientation event is happening tomorrow, September 11th at 6:30 pm – 8:00 pm. At: Sacred Heart Parish Hall 7 Follen Road Lexington MA 02420. Click here for more information about events, registration and meetings. Montessori schools without regard to race, religion, ethnicity, sexual orientation, or economic status. Families welcome to most events. Registration started August 27 for all Lexington MA fall and winter recreation programs. View the program now. You can find everything from Lexington phone numbers and emails addresses to a full list of youth, family and adult programs. You can join programs via walk-in, mail-in and online.